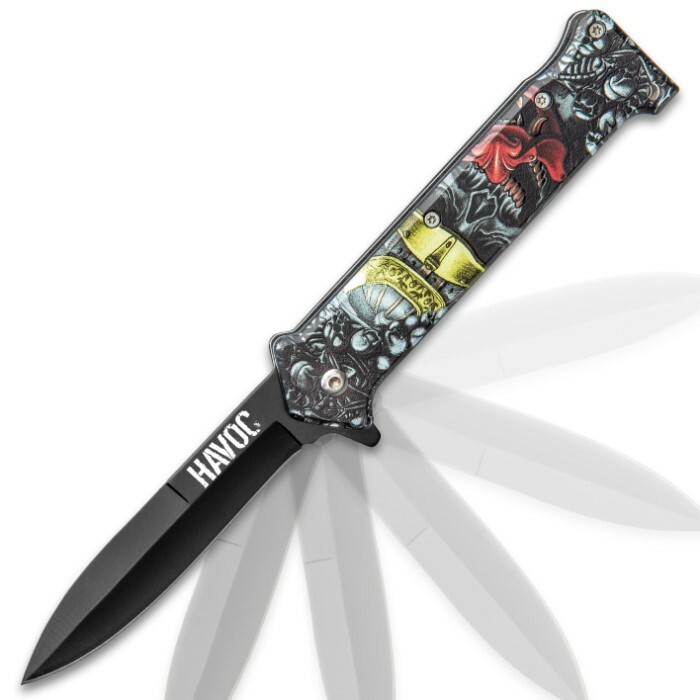 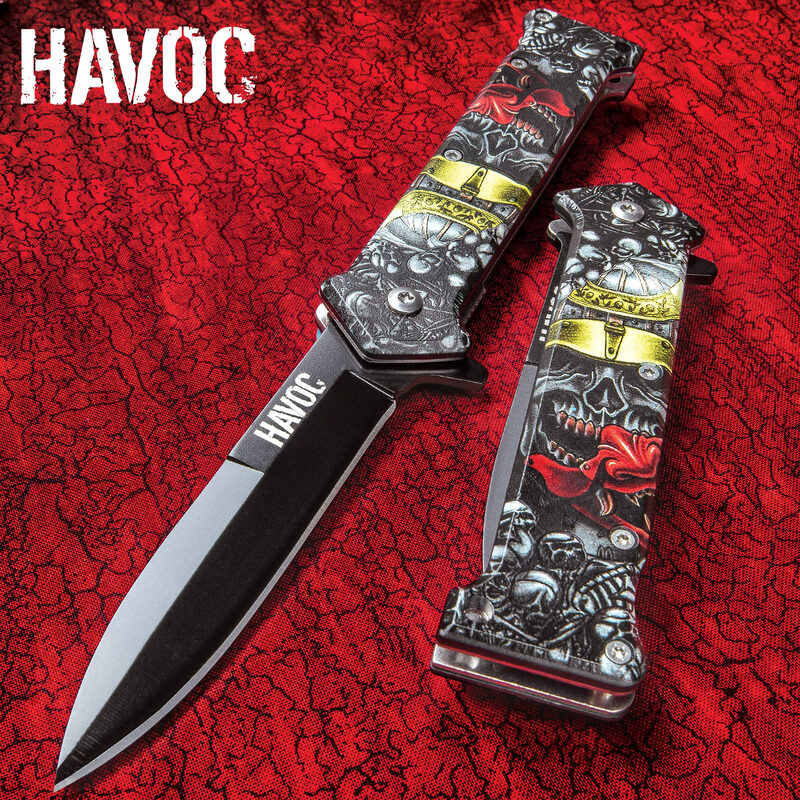 A dark and sinister Gothic EDC, our Havoc Warrior Skull Stiletto Pocket Knife is 3-D printed with a highly-detailed, leering skull in a helmet in rich, full color. 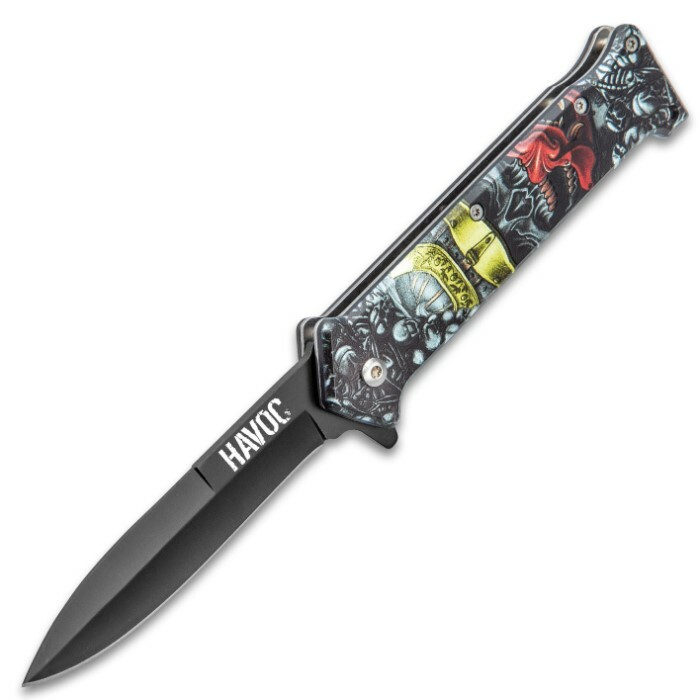 It has a sharp, 3 3/4” black stainless steel stiletto blade that can be quickly deployed with a flipper to activate the assisted opening mechanism. 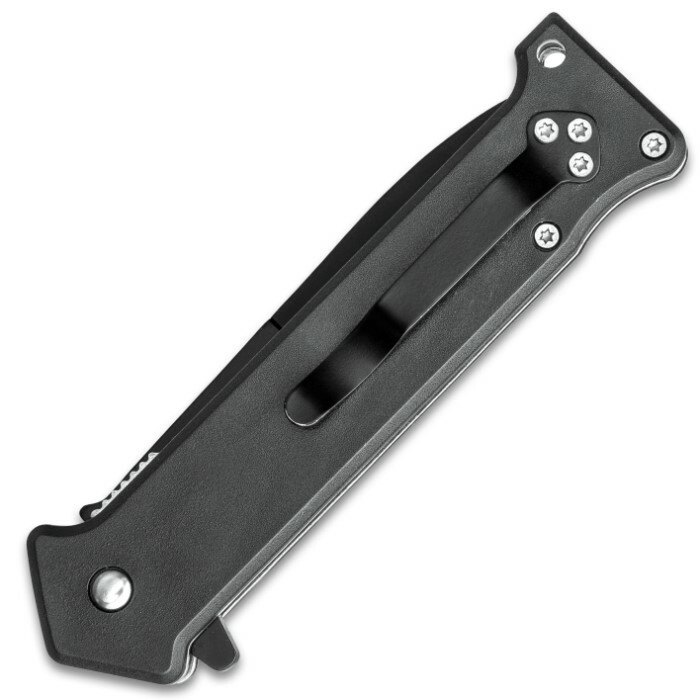 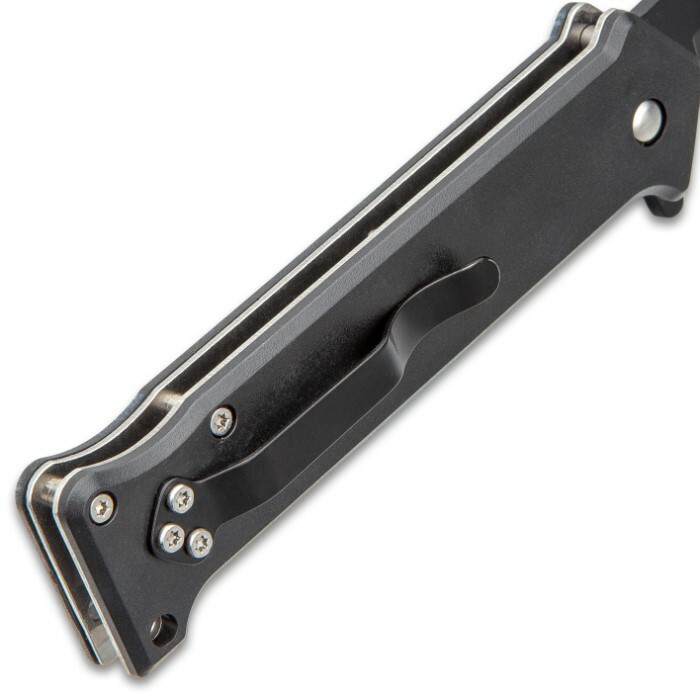 The handle scales are TPU and tightly secured with metal screws. 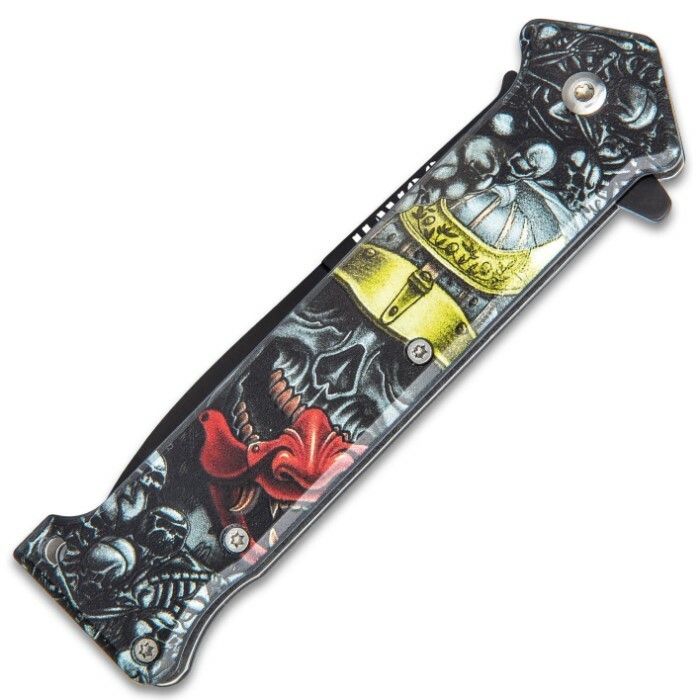 The stiletto pocket knife is 4 1/2” when closed and it has a sturdy metal pocket clip and a lanyard hole.